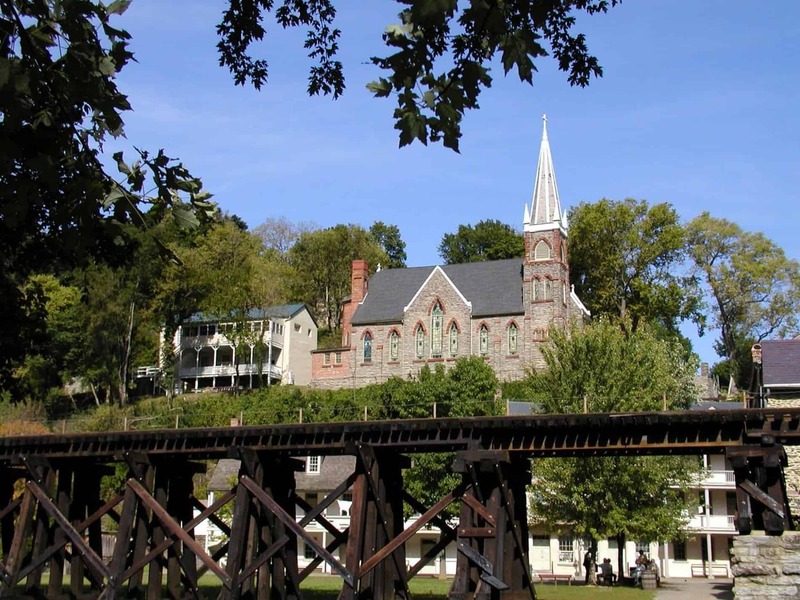 Without the Irish, there would be no Catholic congregation in Harpers Ferry. Although St. Peter's is considered a Roman Catholic parish, the church historically took on an overwhelmingly Irish congregation, and tailored it's sermons to the very similar, yet slightly different ideology of the Celtic rooted version of traditional Roman Catholicism. B efore the church was constructed, the Catholics of Harpers Ferry were attended by priests from Conewago, PA and Frederick, MD. 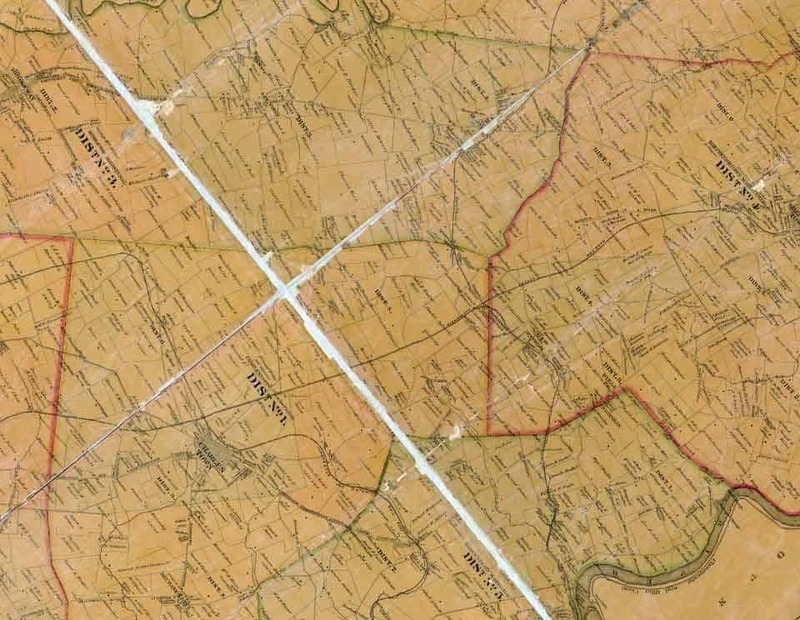 The trip from Conewago to Harpers Ferry encompassed over 82 miles, and the Priests likely followed The Great Wagon Road via Monocacy Road. For more information on Conewago priests, click here. From 1825 to 1830, the closest Catholic Church was located in Martinsburg, of which Rev. 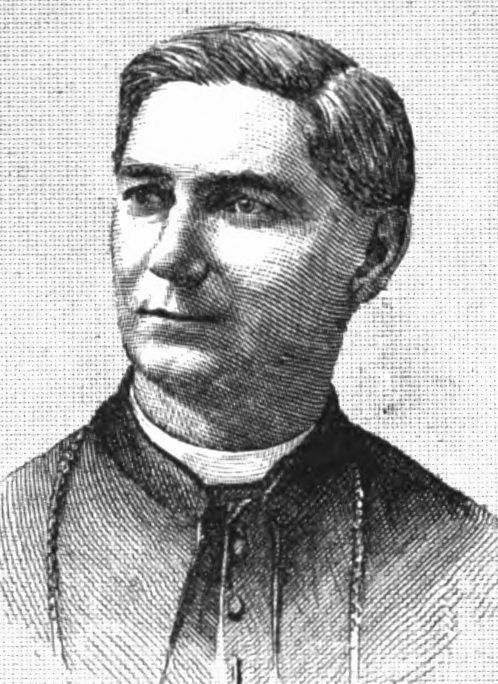 John Gildea; photograph courtesy of the Library of CongressReverend John Gildea was pastor. 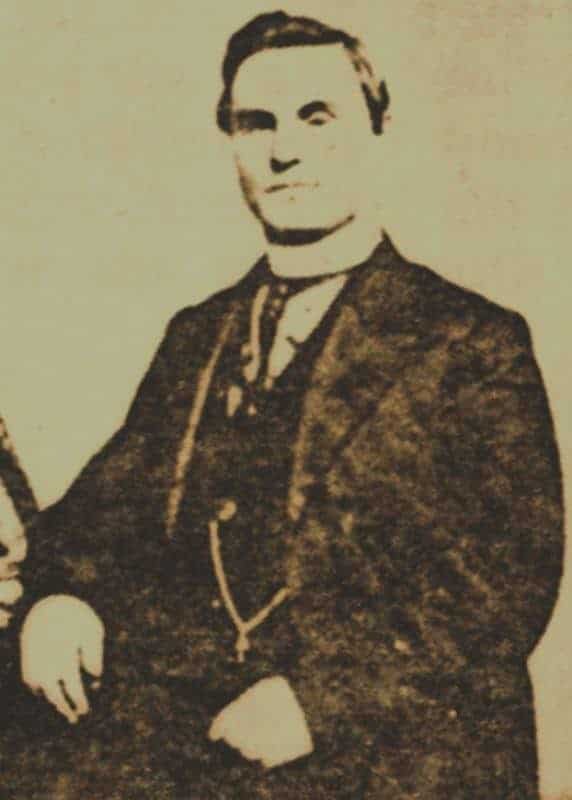 During his first years of tenure at St. John's Parish, Reverend Gildea was assigned Harpers Ferry as a mission, traveling often to Harpers Ferry to attend to the Catholics there. Because no Catholic Church existed in the area, congregations often gathered in homes, fields, and workshops. It has been said in many accounts that the Armory workshops were often used as a "make-shift" church, catering to both priests and Armory workers and their families for Sunday service. 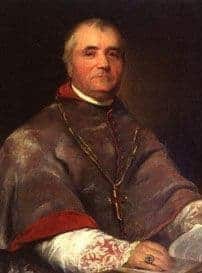 According to St. James parish, the first priest to cater to the Harpers Ferry area was French immigrant Bishop John Dubois, french immigrant who allegedly first served the Catholics of Harpers Ferry.Father John Dubois , who arrived in the valley around 1792 from Norfolk, Virginia, where he worked as a missionary. St. James Parish's records also add that priests from Hagerstown, Maryland also occasionally attended to the area. A map for perspective of the locations of the priests who would serve Harpers Ferry in the years before the Catholic Church. 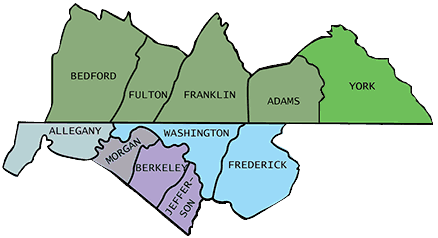 Conewego is located in Adams County, PA, but during this time period was part of York County. I t was not long before officials within the Diocese of Richmond took notice of the rising Catholic Congregation of Harpers Ferry and its surrounding areas. 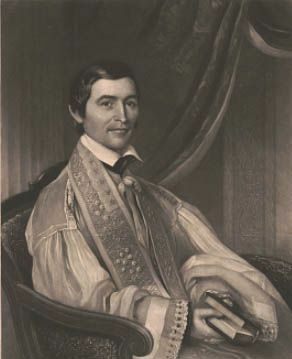 Construction of St. Peters Church began on October 15, 1830 with the setting of a cornerstone, laid by Reverend Gildea, and was completed in 1833. Construction was funded largely by contributions from the townspeople by way of notice in the Virginia Free Press. 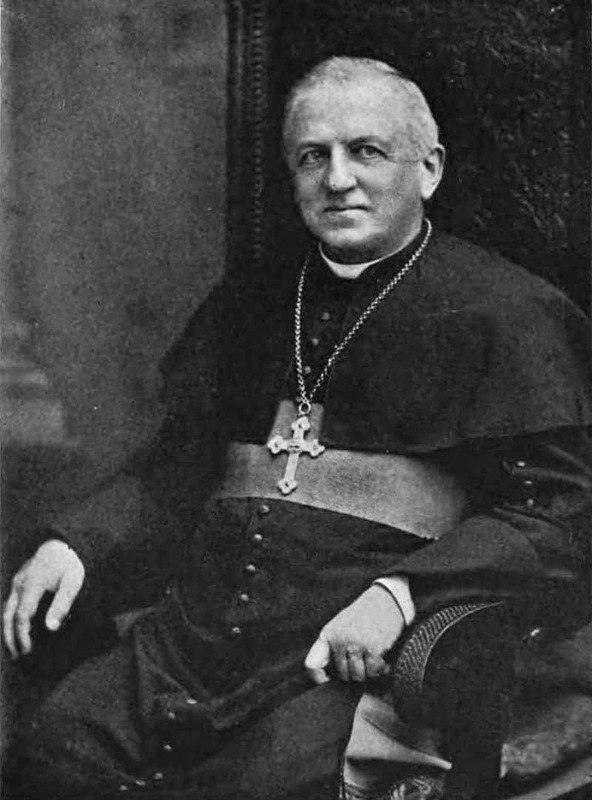 The property upon which the church is constructed was donated to the Catholic Church by James P., Gerard B., and Sarah Ann Wager, under directive of their great-uncle, Robert Harper's, will. Harper's last will and testament set aside about four acres with the directive of establishing a church. Interestingly enough, construction was started before the property transfer was completed (the property was not deeded to the church until May 10, 1831). Both will and deed are on file at the Jefferson County Courthouse, or have been transcribed here. Quick Fact: The rocky, hand-carved stairs leading to the church pre-date the church. The set of 44 steps were carved in 1810. Composed directly from the hillside, the steps are almost entirely shale. 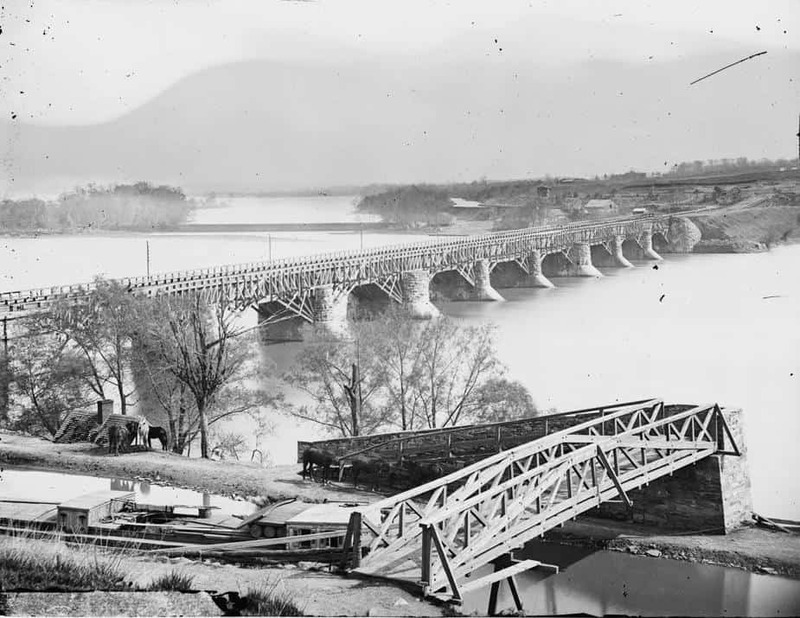 A photograph of Harpers Ferry circa 1862 from the LOC. The original style of the church is visible in the back. John Tearney, a master stone mason and resident of Harpers Ferry, managed and supervised the construction of the first, of many, church buildings. His workers were, by large, Irish canal workers who donated their off-duty time. 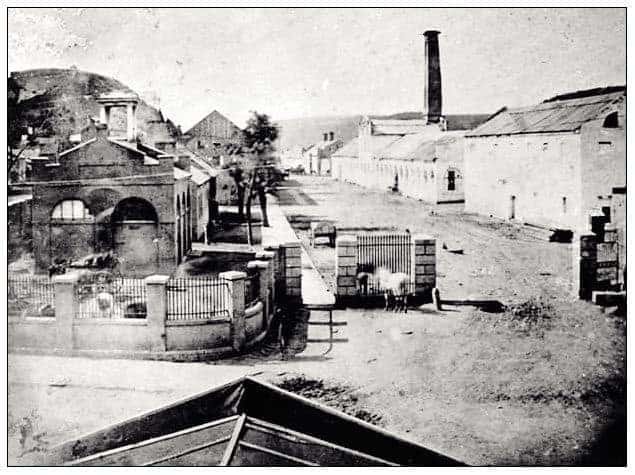 Some sources suggest an earlier attempted log cabin style Catholic church construction along Shenandoah Street which was quickly eradicated by flooding in the late 1820’s, although no definitive evidence has yet been discovered to support this claim. St. Peters Church was the third church in Harpers Ferry to have been constructed, and the only one not built on government owned property. The Free Church, constructed in 1825, and a Methodist Episcopal church, constructed in 1828, were the only known churches to precede the Catholic Church in the town. The Neo-Gothic style church that can be seen today overlooking Harpers Ferry is not how the church looked when it was first built. A description of the original church building can be found here, which was taken from the History of the St. Peter’s Roman Catholic Church, 1830-1868, Harpers Ferry National Monument in the possession of the Harpers Ferry National Historical Park. The church underwent a complete renovation in 1896, consisting of a larger church building on the original foundation. Some original church materials were incorporated into the new building. The original cornerstone was moved to the right lower front of the church, where it is still in place today. A two story stone rectory was constructed behind the church in 1853. In 1854, the church signed a 20-year lease for an adjoining piece of property owned by the government. The church built a two story stone schoolhouse between the years of 1854 to 1857 on the leased property. This schoolhouse operated as a school for both Catholics and non-Catholics alike until about 1886. It was converted into the existing rectory in 1889. A second schoolhouse was built on Shenandoah St., sometime shortly before the first schoolhouse ceased operation about 1886. 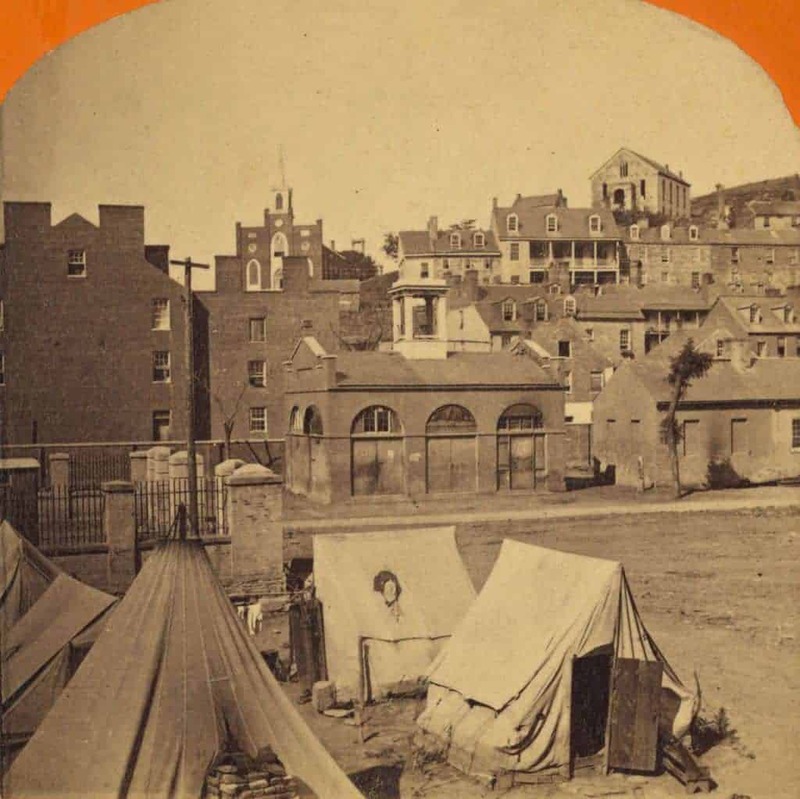 S t. Peters was the only church in Harpers Ferry that was not destroyed during the civil war. Fr. 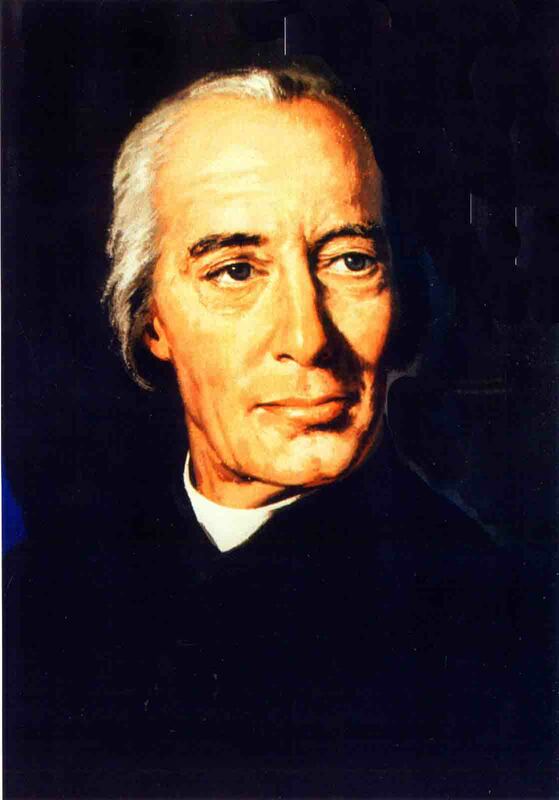 Michael CostelloFather Costello , an Irish native and American missionary, saved the church by cleverly flying a Union Jack flag above the structure in an attempt to express neutrality. For an Irishman during this time period of painful British rule in his homeland, it was probably extremely difficult for him to raise this flag above his church. Watching this flag fly above their beloved church was probably just as difficult for the large Irish portion of his congregation, including the Welsh family. However, the safety of the church was not a chance he was willing to take. Although the church changed hands 14 times during the civil war, it survived the hardships and battles of the war. 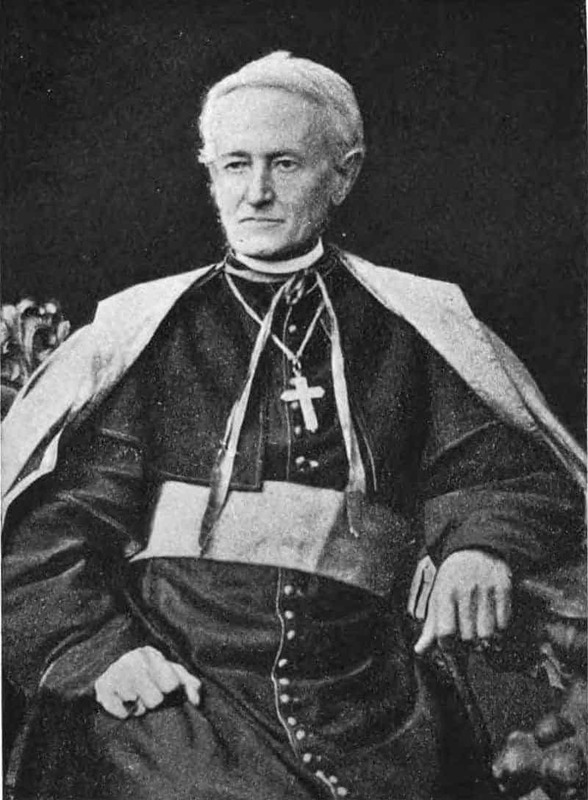 T aken from information provided by St. James Parish's records, below is a list of Catholic Priests who presided over St. Peters Catholic Church along with the years they served. Names with extra information are denoted with an asterisk. Hovering over these names provides extra information. S t. James Catholic Church of Charles Town now operates both St. Peters Church and cemetery. The grounds upon which St. Peters Church sits is owned by the park service. St. James Catholic Church in Charles Town, West Virginia now holds all known original historic records of St. Peter's. St. James has been unable to provide me with original cemetery records for the older section of the cemetery. Whether or not original cemetery records are still in existence is unknown. They have, however, provided me with Mr. Dixie Wiltshire's cemetery survey which was taken after a massive cleanup effort of the cemetery. Unfortunately, this effort left stones riddled throughout the woods, underneath other headstones, and for use as stepping stones throughout the large hills of the cemetery. The census taker admits that there appears to be many unmarked graves in the older section of the cemetery. While St. James does not allow access to its record collections, they are friendly to researchers and will ask volunteers to look up items in their collections. Donations to the church are gratefully accepted for their service.